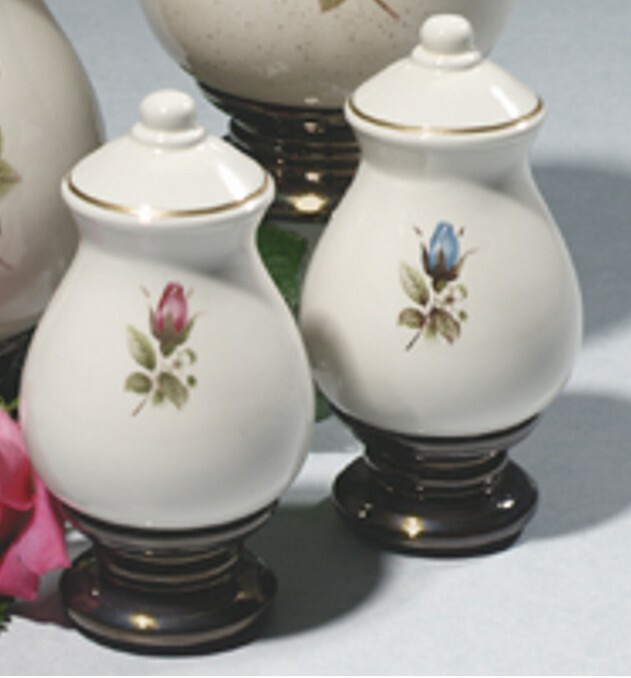 Beautiful rose appliques bring a victorian tone to mind in this cast ceramic* urn with bronzetone base. You may choose from Sienna, Pink or Blue Rose applique. Also available in a large size. When ordering, please make your color choice before placing in cart. Closure: Bottom-opening stopper seals with adhesive (not included) 3" Diameter x 6" High 15 cu.in. *Due to the nature of ceramics, colors and patterns will vary.